Romania is known worldwide because of its historical region, Transylvania, which served as an inspiration for the setting of Bram Stoker’s critically-acclaimed novel, Dracula. But apart from its association with vampires, Romania is home to a number of majestic castles and prominent natural landscapes. People moving to Romania for employment purposes are required to obtain a working visa from the Ministry of Labor and Social Protection, together with the copy of a work contract from their Romanian employer. Romania is the largest state of the Balkan Peninsula and is home to most of Europe's second largest river delta, The Danube. Framed by Hungary and Serbia in the West, Ukraine and the Republic of Moldova in the northeast and Bulgaria towards the south, Romania has survived a history of outside rule, from the Dacians to the Kingdom of Hungary and to the empires of Rome, Bulgaria and the Ottoman. Today, Romania is a global flagship of democracy and development. Romania is a southeastern European country whose climate is influenced heavily by Europe's largest mountain range, the Carpathian Arch, which encloses a significant part of the country. The range serves to block air coming from the Atlantic; hence, the climate is mostly temperate with some chilly and cloudy winters as well as warm and sunny summers with random doses of rain. Its soil is a powerhouse of natural resources, including coal, antimony, mercury, limestone and the highly nuclear uranium, while its wildlife is made up of 3,700 plant species and 33,972 animal species, including the world's largest population of brown bears, wolves, and lynxes. Wildlife fanatics can explore the country's exciting woods for days without feeling bored. Romania's most fascinating assets, however, are its locals who never fail to charm expats with their warm, upbeat and friendly attitude. Romanians are usually fond of those who take an interest in their country, and they surely know how to make foreigners feel at home. It should not come as a surprise when an expat receives an invitation into a native family's home, especially if you settle in the villages where people are like one big family. Another famous trait of Romanians is their practicality and frankness. They do not take to false niceties very well and would rather be transparent than fake. They are also known to be devoted to their traditional practices, although modern communities have not exactly escaped Westernization. There are currently 18 religions recognized by the government but most Romanians, at least 86.8% of them, belong to the Romanian Orthodox Church. Due to the country's communist history, Roman Catholicism had been rather suppressed; it was only in 1948 that it was officially recognized. 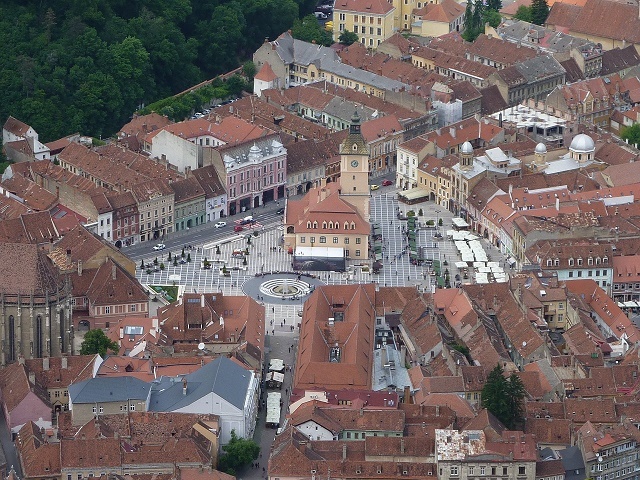 Protestantism also exists in this country with denominations such as the Unitarian Church, Seventh-Day Adventists, Evangelical Church of the Augsburg Confession, Pentecostals, Baptists, Methodists, the Reformed Church of Romania and the Presbyterians. The official language is Romanian and is used by close to 90% of the people of Romania. Locals who live along the border with Hungary naturally speak Hungarian, while tiny communities speak German. Romania has at least 25 superbly preserved architectural jewels recognized as UNESCO Heritage Sites and are perfect for educating expats about the coloured past of a country that was the last conquered territory of the Roman Empire. Today, Romania is an independent state and Europe's 9th largest land housing the 7th largest population in the European Union. Its entry into the NATO paved the way for the country's unstoppable conquests of its own. Now, Romania is a semi-presidential unitary state of the upper-middle-income bracket by EU standards. However, its speeding growth rates and development has earned it the distinction of being Europe's one and only Tiger economy. Despite its dynamic economy and evident modernisation, Romania succeeded and is still successful in preserving its tradition and rich history. Once you arrive, you will feel like taken back in time just by looking at its magnificent architectures such as castles and churches that are centuries old and medieval towns like the famous Sighişoara. Romania is one of the most popular expat destinations in central Europe, and if you have made up your mind to move here, read the following guidelines that will undoubtedly aid you in your relocation. There are two best ways to find a house/apartment in Romania. First, you can hire local real estate agents to help you with your search. These people have a broad network in the housing market and are very familiar with the neighbourhoods. Or second, you can ask around some of your colleagues or fellow expats if they know any rentals. Most of the time, Romanian landlords prefer to entertain someone who is referred to them by a tenant or former tenant. Before signing any contract, make sure to ask if the utilities are part of your rental pay. Some include it while others don’t. In Romania’s major cities, the average monthly cost for your essential services (water, electricity and gas) is €100. A broadband connection with unlimited is around €10 while local mobile prepaid calls are charged €0.15 per minute. Most expats who are in the short term rental are living in studio type units, but if you prefer a long-term lease, it is best to rent an apartment or a house. Keep in mind that prices vary by every location. You can expect a higher rental cost if you want to live in centre districts. A huge number of expats are living in Bucharest, the capital of Romania and where most offices, malls and bars are located. The payment of a one-bedroom flat starts at €350 and €550 for a three bedroom unit. You can also consider living outside the metropolitan where the typical cost of a one bedroom apartment is €200 per month and €350 for a three bedroom unit. 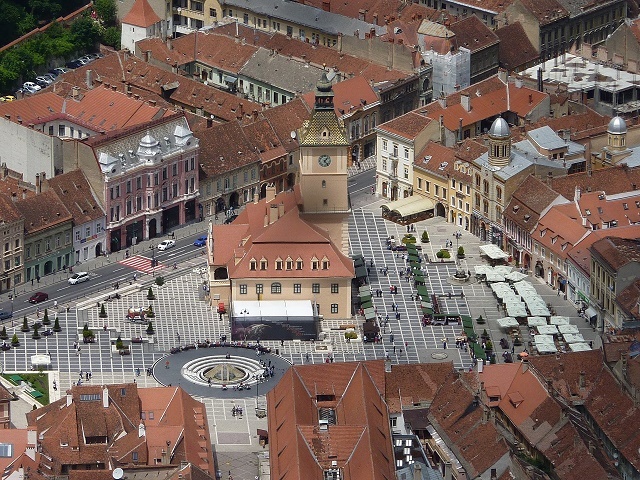 Many private schools in Romania use English, German or French as languages when teaching. There are also international schools like The International School of Bucharest where the curriculum is designed to fit the educational background of expat children. Education in Romania is mandatory until the age of 16. You can also check some of the local schools like the University of Bucharest, one of the leading higher institutions in Romania founded in 1864. There are many things that you need to take care of when moving abroad especially when it comes to importing your belongings. If you want to lessen your workload, many shipping and removal companies offer door to door service to Romania where they will facilitate the whole moving process for you. The average transit time to the Port of Constanta is 18-24 days. Once the containers arrive, local customs officers will conduct an inspection of the cargos. For more information about Romania’s import regulations, click here. If your pet is coming from a non-EU state, you should provide the Annex IV Form for Romania, which is issued by a licensed veterinarian within ten days of entry. An updated Pet Passport is required for pets coming from EU countries. All domestic animals entering Romania must pass through an approved BIP (Border Inspection Post) at Bucharest. Make sure to notify these officials 24hrs before your arrival. There is more to Romania aside from its famous and legendary Count Dracula. Here, you will discover its vibrant cosmopolitan as well as the less visited, but incredibly beautiful countryside. Romania, a small country nestled in the north of the Baltic Peninsula, has always been one of the most fascinating and intriguingly beautiful countries in Europe. This nation has successfully captured the attention of thousands of expats as it conjures the images of alluring gypsies and the infamous home of Count Dracula, the mysterious region of Transylvania. After its membership to the EU in 2007 and the significant economic development during the past decade, Romania became one of the most rapidly developing countries in Eastern Europe. It is now dubbed as the newest ‘tiger’ economies that boast several leading industries such as electric energy and machinery. Romania has an estimated total population of 19.2 million and the number of its inhabitants still continues to pile up because aside from having an economy that possesses a limitless potential, this country is also famed for its undeniable natural beauty. Romania encompasses miles of pristine beaches and acres of luscious forests, rustic villages as well as majestic hills and mountains that are beckoning to be explored. 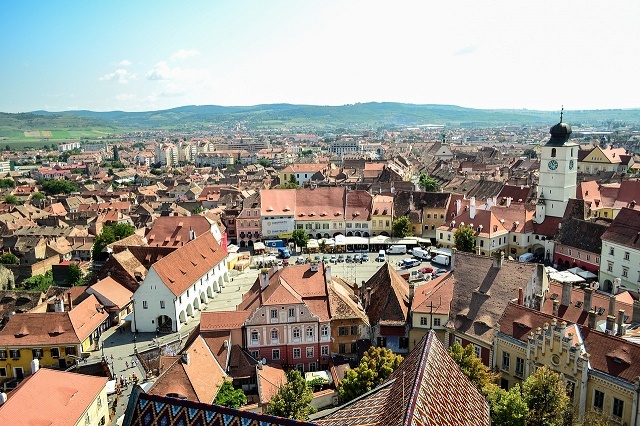 Since Romania is now rapidly becoming a top destination, expats moving here can expect a wide variety of activities to do during their free time. There are shopping malls, movie houses and restaurants in major cities particularly in the capital, Bucharest. Romania is a country that received so much favour from Mother Nature and one of the best places to go for a weekend get-away is the Piatra Craiului National Park, a bird’s paradise blessed with a 25-kilometre limestone ridge, vast forests and picturesque glacial lakes. Other notable outdoor destinations are the Apuseni Natural Park and the Retezat Natural Park. Expats can also go hiking or camping in the Rodna, Bucegi and Carpates mountains. Romanians are avid winter sports lovers, and this country is popular for its mountain ranges where the height reaches more than 2,000 metres. Ski is a famous past time during winter, and some of the best places to go are Azuga City, Predeal, Busteni and Poiana Brasov. Another top destination for expat families who love to ski is Sorica, home of the longest ski run in Romania. And last but not the least, life in Romania will not be complete without a visit to the infamous Bran Castle, a national landmark and monument more popularly known as ‘Dracula’s Castle’. Romania has a total of 40 commercial banks that have more than 6,500 branches nationwide. All of these financial institutions are governed by the National Bank of Romania which is headquartered in Bucharest. Some of the most reputed local banks are Alpha Bank, CEC Bank, Banca Comercială Română and Raiffeisen Bank. A majority of banks in this country offer a wide variety of services such as Internet Banking. Bancomats (ATMs) are widespread particularly in the main cities. Debit and Credit cards are accepted in major establishments while most of the smaller stores particularly those located outside the city centre only accept cash. At first, Romanians might seem abrupt and guarded. It is because this country and its people have seen their fair share of difficulties particularly during the communist occupation from 1960 to 1989. However, those who have the heart and the courage to scratch underneath the Romanians’ ‘hard shell’ will soon realise that they are naturally welcoming, warm and friendly. They are also known for being hospitable and many locals specially those in small towns or in the countryside still invite foreigners or tourists in their homes. Romanians are quite insistent and for them, it is polite to insist on someone to dine with them. The culture of Romania is deeply influence by the significance of family, hierarchy and respect towards the elderly. Romanians are also expressive towards their friend and relatives whereas a kiss on the cheek is a common greeting amongst them. Shorts, Speedos, thongs and bikinis are acceptable clothes in the beach or coastal areas but never near the religious sites. 87% of Romania’s population practice Eastern Orthodox which means that conservative clothes and head cover for women is a must inside the monasteries or churches.